Home→Quantum→SM→BSM→LOG#182. Duality and gravity: extra thoughts. ← LOG#181. Duality and gravity: a short note. 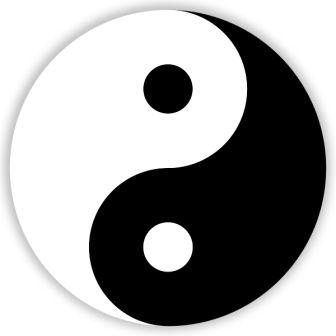 In the previous post, I reviewed very naively and shallowly some of the relationships between duality and gravity, and that from electromagnetic duality. There are many other interesting points. This post is aimed to highlight some issues and works that have not (to my knowledge) been exposed in the way I like. Magnetic monopoles are that crazy but wonderful idea that make theoretical physicists to burn into their heads. As it is well known, from Dirac, the existence of a single magnetic monopole could provide an explanation of WHY electric charge is quantized (irrespectively the unobservable fractional quark charge and other fractional charges observed in condensed matter, I might say). There is a deep link between magnetic flux and mass, and therefore, one is tempted (not without troubles!) to identify mass as certain kind of “trapped flux”. It was an heritage that the second superstring revolution has left unended, to my opinion, because it points out to certain ambiguity of the choice of the fundamental degrees of freedom of any dual-theory that has remained until current times. Before to enter the game of the Dirac quantization condition and its brane analogue, let me expose some other basic stuff, a very well know fact that is sometimes left unexplained (or in the air). Note the absence of (due to the system of units they use). give you . Note what happens in (no ! ), (no electric charge) and . The last case is important for multitemporal theories. Also, (assuming space-time dimensions in a positive or null number), is the first number for which you need the quartet , and likely in hidden format, to get the adimensional quantity. Scaling these numbers, a la Dirac, you can get that the number of baryons in the Universe is about , the photon to baryon ratio is about , and the Hubble time to Planck time ratio is about . Note that the BH entropy also scales as the ratio . and where the omegas are the energy densities of dark matter and dark energy, and . In order to get a maximal length NC-geometry HUP+GUP you need at least . But, you can also get it with iff (as it happens) . One is tempted to ask why is NC necessary, as far as we know space-time is very smooth on large scales. We know that quantum fluctuations of large tiny (dense) stuff should introduce these modifications in some way. The precise nature of these modifications (or even non-associative modifications) will be also a phenomenological issue to discuss in quantum gravity phenomenology. and formulae are known since the early times of quantum Mechanics, with Snyder, Born, and other less known characters. That , where is the string length or scale, it is also comprehensible from a non-perturbative way through the Schwinger effect. Off-topic: if you are afraid of tiny numbers, you should remember that quantities like 1 shed ( ), 1 barn= are today common in nuclear or particle physics. 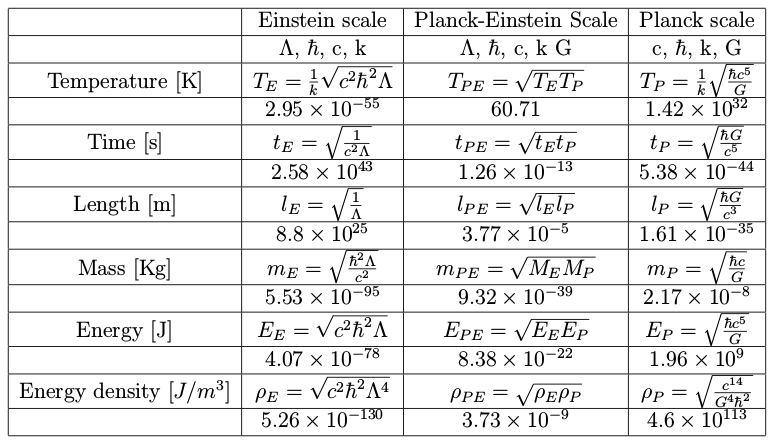 and where , , is the Planck length, are the speed of light, reduced Planck constant, Newton gravitational constant and the electromagnetic fine structure constant. is the electron mass and is related to the maximal tension principle via . Note the resemblance of this equation to the string mth octave pth note formula given by . 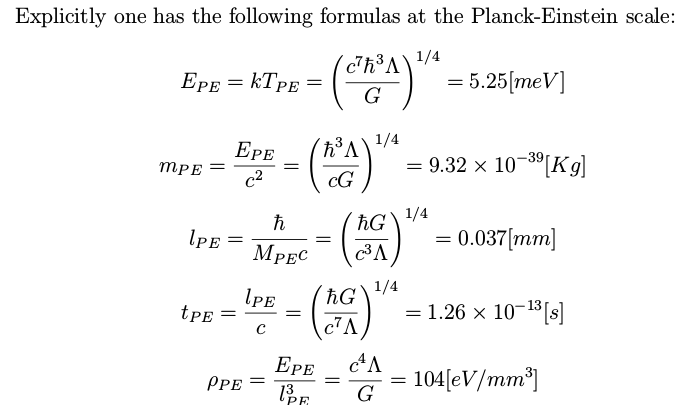 For any space-time dimension you can have a gauge field that naturally couples to a p-brane, via a field strength. Its dual is a form with gauge field. Dirac quantization reads , with and over suitable manifolds . Remark: the higher symmetric (spin) tensors and are the magnetic-like and electric-like conserved charges associated to the asymptotic symmetries of any spin tensor field. For , as I mentioned, asymptotic symmetries ARE internal gauge symmetries, indeed, constant phase transformations, the would be the electric charge and the the magnetic charge. For , we have a space-time index, so conserved masses have dimensions of mass, and the tensors are associated to space-time traslations. In fact, in principle, they are associated only to linearized spacetime diffeomorphisms. The back-reactions of these charges in the case imply some technical difficulties, as we can not neglect non-linear (self)-interactions. Interestingly, Einstein theory does support the existence of gravitational dyons! I mean, general relativity can sustain the existence of both, electric and magnetic masses! See you in another wonderful post!